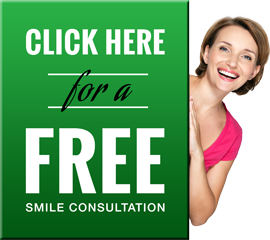 Have you been searching for the right cosmetic dentist in Michigan to transform your smile? Our dental practice is led by Cosmetic Dentist, Gary R. Hubbard. Dr. Hubbard is Accredited Member of the American Academy of Cosmetic Dentistry. By successfully completing this challenging and unique process, as an Accredited member, Dr. Hubbard has demonstrated a very high level of clinical skill and ability in advanced cosmetic dentistry. He is one of only 11 dentists so credentialed in Michigan and the only one in the Lansing area. A beautiful smile can brighten your life every day, professionally and socially. Imagine coming in for a single appointment or two with Lansing Cosmetic Dentist, Dr. Hubbard, and leaving with the smile you've always wanted. The results are immediate and dramatic. Whether you are looking for teeth whitening, porcelain veneers, zoom teeth whitening, bridges or dental implants, or conservative bonding our advanced reconstructive and cosmetic dentistry team is here to help. Our first objective is to accommodate you by accurately diagnosing your cosmetic dental needs. We then provide you with a cosmetic recommendation and work with you to establish a treatment plan. Our aim is to establish positive relationships with all of our patients and deliver exceptional cosmetic dentistry. Cosmetic dentistry is right for anyone who desires an improved quality of life, a brighter smile, better oral health or improved self-esteem. Lansing Cosmetic Dentist, Dr. Hubbard and his team are well trained and utilize current materials, equipment, and advanced cosmetic techniques. Whether its dental implants, teeth whitening, Lumineers, porcelain veneers or bonding, we look forward to working with you to create ‘your’ perfect smile. Traditional porcelain veneers, alternatively termed "dental veneers" or "porcelain veneers" are wafer-thin shells of porcelain permanently bonded to teeth that are discolored, worn, chipped, or misaligned. Porcelain veneers are non-porous (they will not stain), incredibly resilient, and "kind" (non-abrasive) to opposing teeth. When a veneer is firmly bonded to a sturdy substructure (like a tooth) it becomes very strong and durable. In many cases there is confusion with Lumineers®, which in fact are a competing technology. Read more about porcelain veneers here. Lumineers® are contact lens-thin porcelain veneers and are often marketed to be placed over existing teeth without having to remove tooth structure (unlike traditional veneers.) While not applicable to every situation, Lumineers® can be a painless, beautiful and long lasting cosmetic solution for stained, chipped, discolored or misaligned teeth. Read more about Lumineers® here. People with a time constraints for that special occasion will often ask for a teeth whitening solution that is quick. If this is your situation we can offer in- office teeth whitening. It is best to have a teeth cleaning just prior to our in office teeth whitening. We also offer take home teeth whitening products and Zoom Teeth Whitening. Read more about teeth whitening here. While dental implants may not be thought of as a cosmetic procedure, they can be the best cosmetic solution. They are often the most conservative and most esthetic option for missing teeth or un-restorable teeth that must be extracted. While we like to give people the option to restore compromised tooth, occasionally it is more predictable to give the option to remove it and place a dental implant. Read more about dental implants here. Direct composite bonding is an excellent option for restoring aging, discolored, worn or failing existing restorations. It in many cases is the most conservative of existing tooth structure. When cosmetic bonding is done with the correct technique, these restorations can rival the appearance of porcelain veneers and at less expense. Read more about cosmetic bonding here. Putting your smile in the hands of Lansing cosmetic dentist, Dr. Hubbard is an important decision. You can be assured that you will receive the most dependable, comfortable, and quality cosmetic dental care available. For further information about cosmetic dentistry please call us today or schedule an appointment here!